It is most rare Rudraksha Beads. One face (mukhi) rudraksha beads in round shape is very difficult to get, it is generally belived that one mukhi rudraksha has not been found on any tree for last one decade. Half moon shape one mukhi rudraksha bead which actually an alternate of Rudraksha is available in market in. 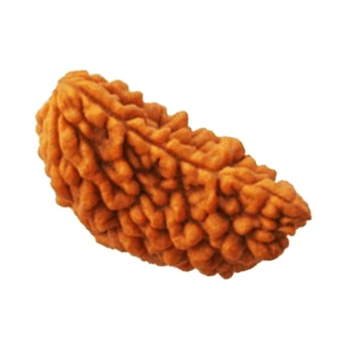 One mukhi rudraksha is most powerful rudraksha. It is generally weared around neck as a pendent. It blesses wearer with control over senses, bring closer to the the supreme power. It enhances leadership quality of the wearer, enable them to face stressful circumstances successfully. Give wealth, health and power. It helps in urinary stone disease, respiratory problems, blood vessel disease, digestive function problem etc.